Yes! You read that right. You CAN send your child to the best schools for discounted rates. 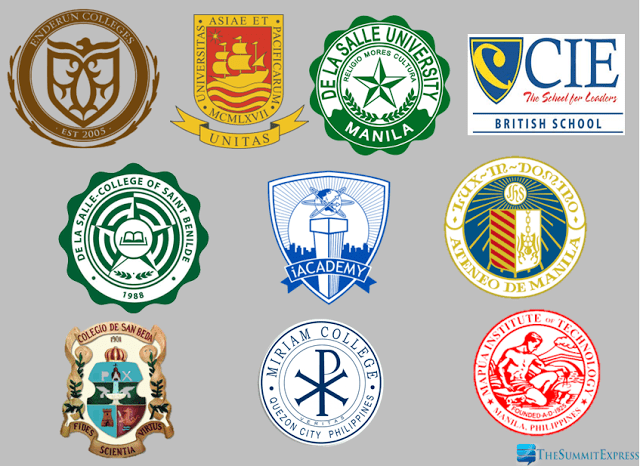 If you ask any Filipino parent what their dream college/university for their children are, they would probably answer either Ateneo de Manila University, De La Salle University, University of Santo Tomas or University of the Philippines (Diliman) because of their outstanding quality standard of education. However, due to the increasing annual tuition rates (average of 10-15% increase per year), many parents instead of sending their children to their dream university, they just opt to send their children to schools THAT FITS TO THEIR BUDGET. Am I right? Below are the tuition rates of major colleges and universities in the Philippines for academic year 2015 – 2016. Many parents make it their top priority to send their children to the best schools they can afford. BUT, are they really prepared for how much “the best schools” will cost them when their children are old enough to enroll in them? Let us assume that the current tuition cost is Php 120,000, your child will be taking a 4-year college degree in 15 years, and the tuition increases 10% a year. In 15 years, you will be spending PHP 2,326,393 for your child’s college degree that is worth PHP 556,920 today. The is the smartest and cheapest way to pay for your child to a college degree is – TO SAVE EARLY. How does this work? Here goes… Since we’ve already calculated that you will be needing PHP 2,326,393 in 15 years, you only need to save approximately PHP 79,335 per year or PHP 6,611 per month and invest it in a investment product that earns 10% a year for 15 years. So instead of paying PHP 2,326,393, you only need to pay PHP 1,190,024, which is a whooping 49% discount. Wohoo! The lesson here is, the early you save for education, the bigger discount you have! ***Just an FYI, the computations above is just for the tuition fee, you still have to consider miscellaneous expenses like daily allowances, housing, transportation, uniforms, books, projects, etc – which is around 50%-70% of the tuition cost. How Do You Want To Pay For Your Child’s College Education? How to Send Your Child to the Top Schools in the Philippines for Discounted Tuition Rates? Choose Option 3. Save, invest and set money aside for your children’s education early! The earlier you save, the bigger the discount/savings you get. Hello po. Great post. Just a quick question. Can you please share po what investment product can earn us 10%? Hi Allan! Unfortunately there are no investment products that can guarantee a 10% return. BUT there are investment products that can POTENTIALLY give you a 10% return like mutual funds and company stocks (aka the stock market).